For employees of Fortune 500 firms or travelers on vacation, safety is of the utmost importance when working in parts of the world where social and political instability is a common theme of life. Unfortunately, gathering and accessing accurate information on the ground to prevent tragedy from occurring is difficult in these regions of the globe. These blue-chip companies shell out millions of dollars to security firms to ensure the safety of their workers abroad. Cory Siskind, 30, started Base Operations in the spring of 2018 to help security professionals protect a company’s workers in a foreign country and provide up-to-date security info to travelers in the area. Base Operations combines various sources of information and presents this aggregated data to security operators in the field who are protecting workers of a particular firm. The Washington D.C.-based startup has recently completed Techstars Social Impact Accelerator in Austin, Texas, and has gone on to raise their pre-seed round from Good Growth Capital, Magma Partners, Spero Ventures, Underscore VC, and Glasswing Ventures. Cory Siskind, founder of Base Operations. According to Reuters, the global physical security market is projected to grow to $127 billion by 2022. The main driver behind this industry’s growth is globalization. Several large-scale firms (e.g., Fortune 500) are expanding their presence in developing countries by setting up manufacturing plants or new offices for support and logistical operations. These physical assets have unmet safety needs that are lucrative opportunities for traditional security firms. However, protecting a company’s assets, whether it is infrastructure or people, is challenging in real-time. Crime heat maps are useful, but not complete enough on their own to give security professionals the full range of information they need to make the best choice to protect their charge. Having informants or trusted sources on the ground is invaluable, but information can take time to be communicated and verified. Base Operations aggregates information using artificial intelligence algorithms such as natural language processing and clustering from four main sources: crowdsourcing, social media, government statistics, and data from collaborators. Once this information is cleaned and organized, Base Operations presents the combined intelligence report on a sleek, accessible interface on desktop and mobile phone so security teams can have reliable information anywhere they travel in areas known for danger. Base Operations offers two products: Base Impact, and Base Enterprise. Base Enterprise is for large companies with workforces in developing regions. Their revenue structure is a subscription model based on an annual subscription to the platform with a variable number of licenses per year. Base Impact is a free service for tourists and other foreign visitors to use so they can avoid dangerous areas and have a safe journey. The startup’s main advantage lies in how it collects information via artificial intelligence techniques. Without direct ownership over physical assets, Base Operation’s distinct channels for aggregating data allows the startup to process information quicker to provide the most up-to-date information to its clientele. With the costs on maintaining these physical intelligence assets (e.g., humans, surveillance equipment), the startup can direct its efforts to improve its data aggregation and reporting output. However, the main challenge for Base Operations and other startups that operates in this space is to be able to resolve conflicting reports quickly to present to clients as soon as possible. Base Operations competitors such as Verstaan, Stabilas, PredPol, and Findyr all struggle to do this well. The ability to provide accurate recommendations in unstructured, dynamic environments without complete reliance on physical assets will be key to the success in this space. Furthermore, the key value add in this industry will be statistical analysis to anticipate threats before they appear. Yet, the founder, Siskind, has a wealth of experience in security and consulting that will allow Base Operations to meet these challenges. She was previously a management consultant at Booz, Allen & Hamilton, and worked at a security and risk company in Mexico City. Afterward, she went to get her Master’s in Business Administration at MIT’s Sloan School of Management and Master’s in Public Administration at the Harvard John F. Kennedy School of Government, where she first got the idea of Base Operations in the winter of 2016. 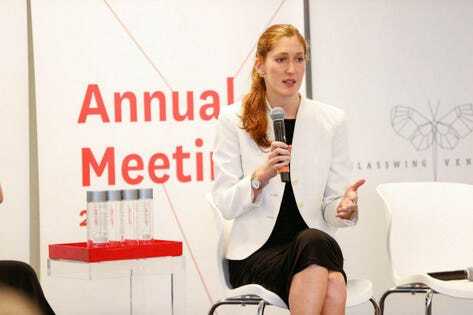 Under her leadership, Base Operations has expanded to six cities in three months, landing Bain & Company, a prominent management-consulting firm, as a pilot customer, and has gone on to sign a Fortune 50 insurance company as a paid customer as well. In the future, she hopes that her startup will build the world’s global crime tracking model. Whether you’re someone on vacation in a foreign country, or a Fortune 500 company expanding your corporate footprint in a developing region, Siskind hopes her start can be the Base for which your Operations go off without a hitch.